Currently (Feb 2017) not in the App store; stay tuned for a much needed update! It also sports a volume slider for all your volume adjusting purposes. In Version 1.0, you can't play two keys at the same time, but the next release will allow it. Meanwhile, enjoy the video of this dance of my 6 year old daughter, shot by my 8 year old son, while I improvised on the REAL Lake Piano. By the author of SrutiBox,Droneo and Wind Chimes. As with other iPhone audio applications, if you are connecting the device to an amplifier, you may want to disable the phone function using the Airplane Mode setting, so you don't hear the occasional noise resulting from GSM synchronization. It's also going to be better for your battery! Headphones or earbuds are recommended for a good stereo effect. It's also good amplified. 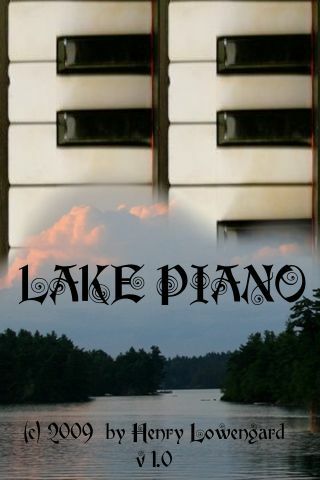 Lake Piano uses a largish amount of memory and may use more in the future. It sometimes comes up with an "out of memory" dialogue. Because of this, it may not start up if you are running other applications, so restart your device by holding the 'Lock' button for about 5 seconds if you have this problem (which is rather well known for applications with large numbers of samples and other data). • Questions? 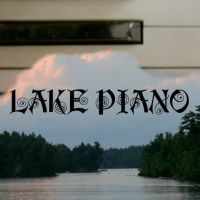 Write to LakePiano "at" jhhl.net, or go to the contact page.